If you would like a general reading on a current situation you may be going through. If you are seeking advice on personal matters or perhaps just want to know what the future holds for you. 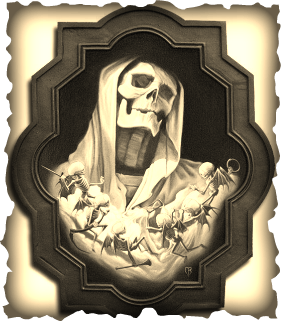 With the help of Santisima Muerte we will conduct this reading and will deliver to your email. Since this is an e-mail reading, the cap for one service purchase will be at 800 words. Any more words than that and you will have to purchase an additional reading. 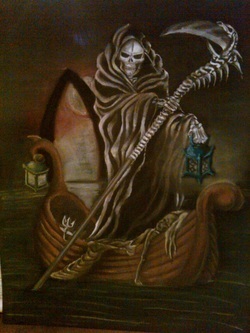 Santisima Muerte to guide you through. Worried because of debts? Looking for a job but having trouble?Are you in need of advice? Is your financial situation a burden? Are you starting a new business venture but you're not sure which niche to take? Don't worry we are here to help you with our services. 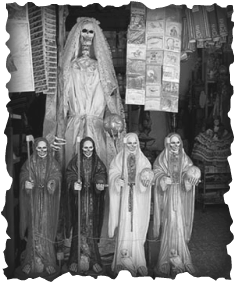 We will summon Santa Muerte (Saint Death) and with her help we will give you a forecast in your future finances. This is a detailed reading on anything related to love, relationships, and family. You should give us a brief description of your current situation and ask any questions you may have regarding these areas of your life. In addition to this reading we will offer a Novena on your behalf. Are you curious about that special person in your life? Would you like to know how compatible you are with your lover, friend, or family member? 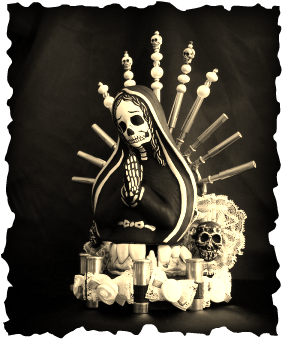 Have a reading with Santa Muerte and you will have your answers. In Addition this reading will provide you with the birth dates of the people you are more likely to be compatible with in Friendship, Business, Love. 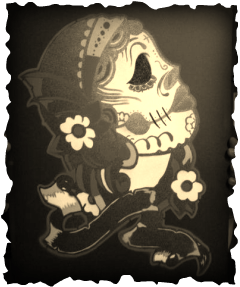 This is a 10 questions reading using my own Santa Muerte Tarot Deck. name and date of birth. If you are asking regarding someone else provide us with the person's name and date of birth. All material , products and Services are protected by Copyright Law.